There is a massive fad sweeping the country. Heck, they think it’s something great to advertise that bottled WATER is gluten free now. Normally I either run from a fad or sniff it out to reveal how faulty it is. 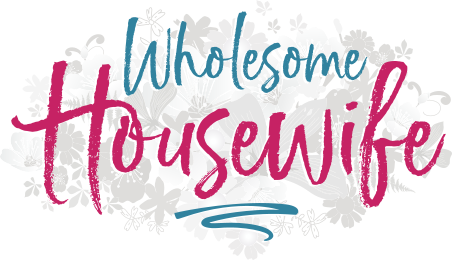 However, after 10 months of pure misery nursing my sweet baby boy, I finally figured out that going off of gluten could actually radically help (once we addressed the root cause). Like, by day 2, the pain was almost entirely gone. After about a month, I slowly allowed gluten back in, mostly in ancient grain forms like organic spelt and sprouted wheat and had no trouble. I was afraid that after this little one came I might have to go back to gluten-free for a while but I didn’t. Even now I like to go GF once in a while. When I do I can always go back to this recipe, my breakfast smoothie, or my oat flour pumpkin bread when I’m craving breakfast or a treat. Now remember, oat is still a grain. It is, however, (in this brand, and other unadulterated brands) gluten free and safe for those who only react to the gluten in wheat/wheat relatives (spelt, einkorn, kamut, etc.). When I was having issues, I only focused on cutting out gluten. I still had organic sprouted oats/oat flour, sprouted California Blonde rice and millet occasionally. 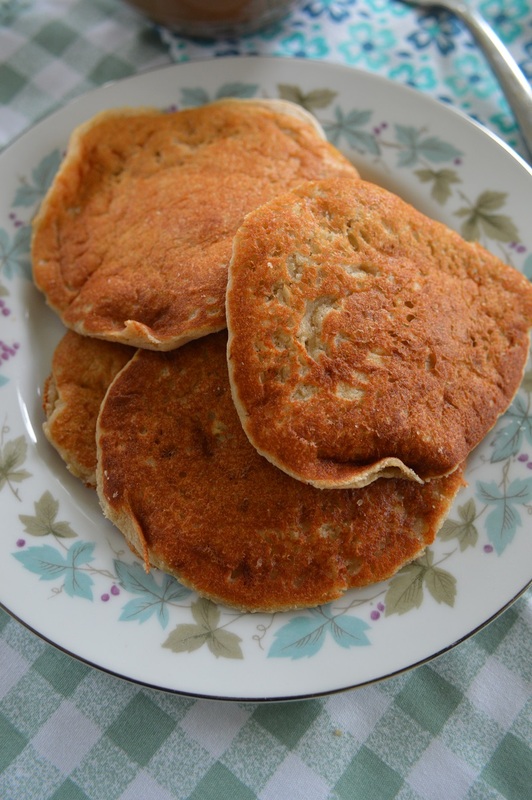 This Fluffy Oat Flour Pancakes recipe is a modification of my spelt modification of a recipe that was similar to one I grew up with. 😛 We love it! The texture is the same as a normal pancake, only maybe slightly more dense. 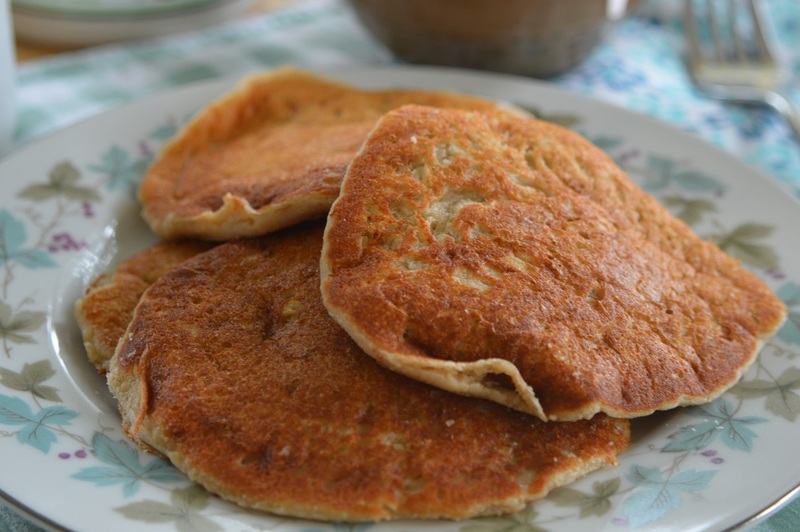 It’s certainly a hearty pancake that goes great with real maple syrup, eggs and sausage. Mmmmm. 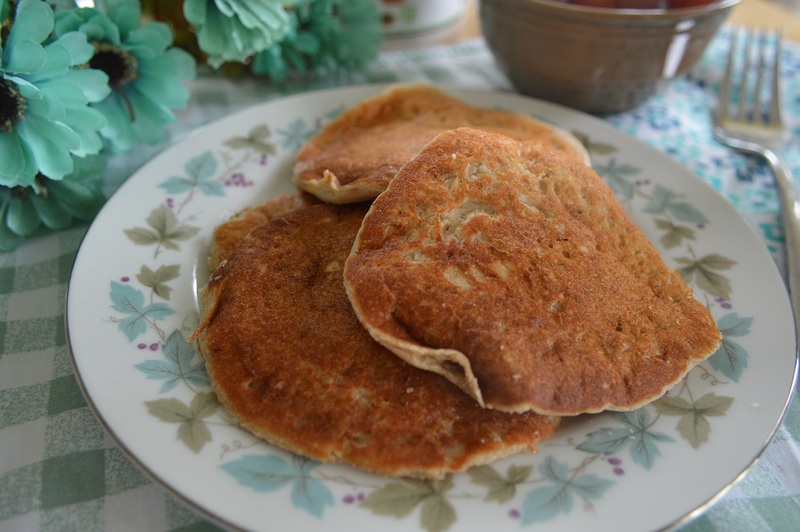 Fluffy, moist, not-too-sweet, gluten-free pancake recipe! Add all ingredients to a medium sized mixing bowl and whisk well. Let sit for 5 minutes for baking powder to work. Heat liberal amount of coconut oil in a skillet over medium heat. Add preferred amount of batter to make the size of pancake you want and turn heat down to cook slowly and evenly. Flip once bubbles are rising to the surface of the wet pancake. Repeat until all, or desired amount, are done.